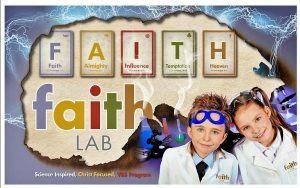 During Faith Lab VBS at Springbrook children will have a blast as we share the Good News of Jesus Christ through cool science experiments and amazing projects. Children will also have the same experiences as years past as we play games, eat snacks, and enjoy skits, and worship. All are specifically designed to help them discover God in a new and exciting way! Hebrews 11:1 – Now faith is the assurance of things hoped for, the conviction of things not seen.